The Two Cowboys were fortunate to visit with Valerie McCracken, the volunteer organizer of the Cochrane Farmers' Market. 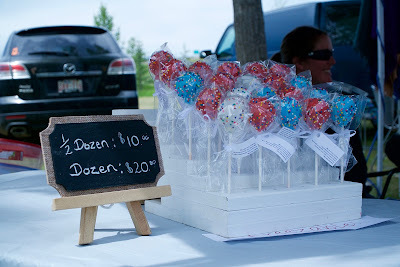 Over the last two weekends we had a taste of what Cochrane's micro businesses have to offer and we loved it! 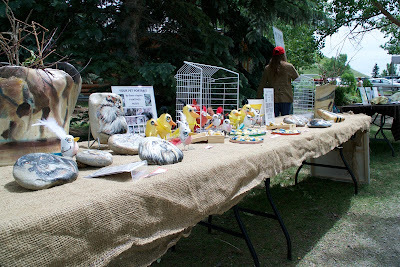 The Cochrane Market is an Alberta Approved Farmers’ Market. It comes with rules and regulations that help distinguish the market from a typical "Flea Market" or "Public Market". For example: eighty per cent of the vendors are Albertans who meet the "make it, bake it, grow it" criteria. This means you are buying from the community's producers and product makers, directly. The remaining twenty per cent of the vendors are selling products that complement the market mix, within the discretion of the organizers. Another key differentiator is the organization of the market. 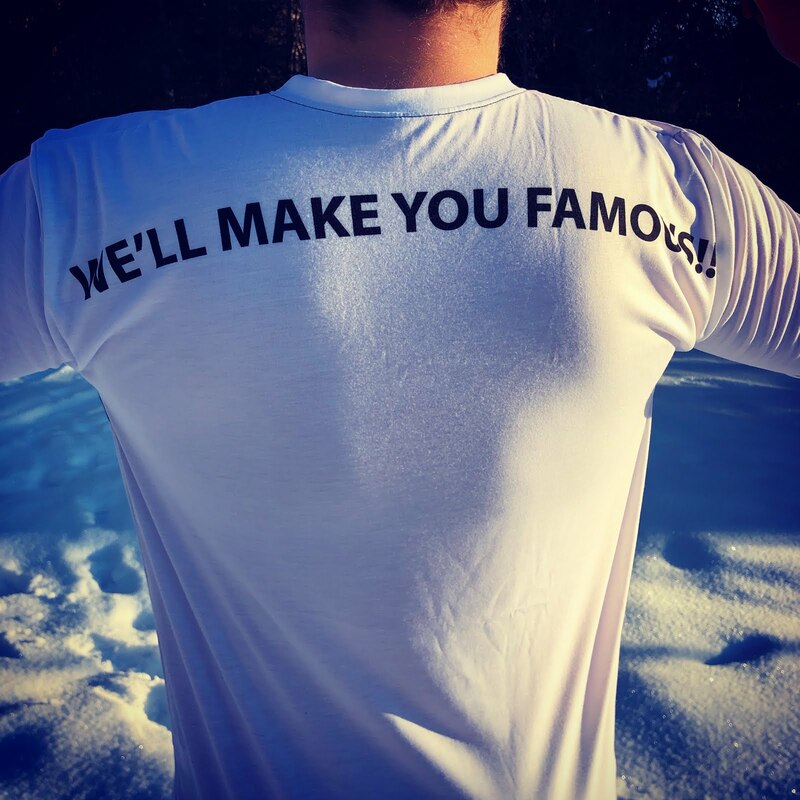 An "approved market" is sponsored by a not-for-profit community group, local Chamber of Commerce, municipality or agricultural society, or have formed their own not-for profit society under the Societies Act. Hence, the market is a collaborative effort for the benefit of all the participants. It even has a vendor meeting to include the participants in the decision making. The "approved" status plays a distinguishing role to define the character of the types of businesses that participate in the market and how the activity is organized. 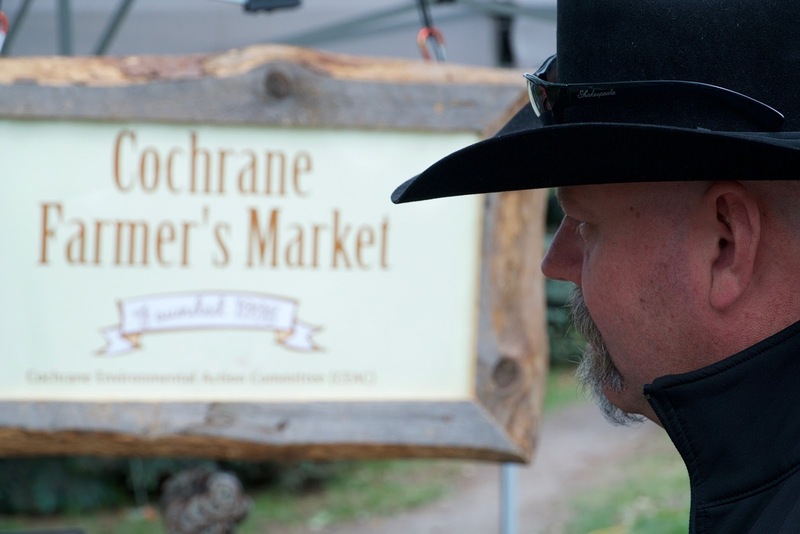 The Cochrane Environmental Action Committee sponsors and operates the Cochrane Farmers’ Market at the Cochrane Ranche Historic Site. 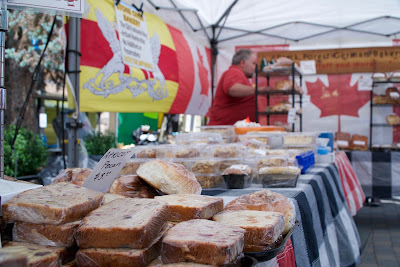 The market runs from 9:30 a.m. to 1:30 p.m. each Saturday, rain or shine, from the beginning of June until the end of September. The market just celebrated its 18th birthday. They continue to grow, and each year is better than the last, with a downtown evening market added this year! Somehow, as Valerie mentioned in a her interview, Cochrane may have managed to get something right after eighteen years of trying to have a vibrant and healthy market. 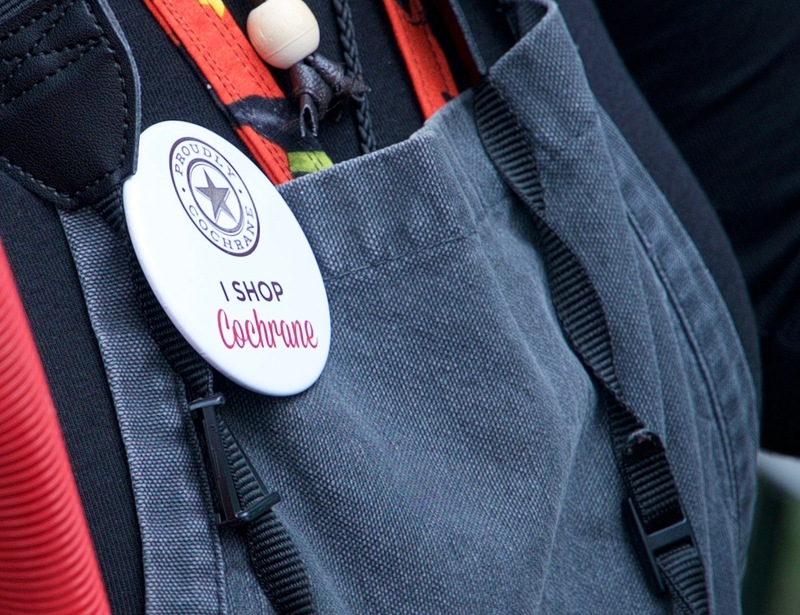 This year is the first year where the rest of the Cochrane retail and business community started to recognize, that to survive the onslaught of the national and multinational big box store invasion in small town Alberta, Cochrane has to turn to its own. The Farmers' Market was invited into the downtown core to help attract customers with products that make Cochrane unique as a destination, and inspiring as a community. I make no mystery about the fact that I think markets are the critical, and often missing foundation of a community's character. A community with a healthy market and locally originating commerce is one that thrives in other areas too. It shows the societal health of a place when people come together to interact and trade the value they create. A market shrinks complicated value chains by offering direct access between producer and consumer. Markets overcome commerce imbalances in a community, which are often caused by an over representation of real estate reliant retailers stocked with out-of-town goods. Retailers offer a simple and safe tax base for local governments, and is therefore favoured over the complexities of the organizational overhead, and transient nature of market vendors. Yet, many successful producers and businesses started at markets. A market offers a safe place with low entry cost and low tax overhead, where government regulations and compliance costs are delayed a little longer, before it exercises its potential to kill the entrepreneurial spark of budding entrepreneurs. 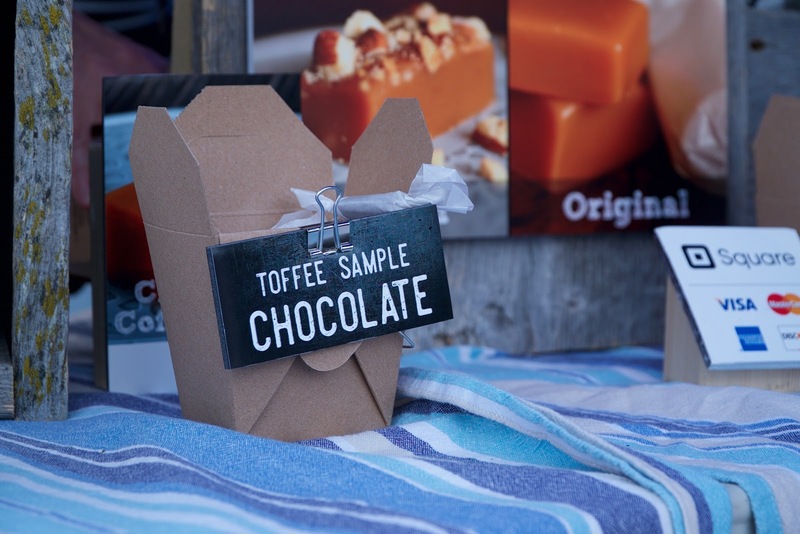 Not only is the community's market a meeting place for town folk, it is the first place where budding entrepreneurs get to show their ideas, offer their products, and solicit feedback from potential customers. It is a place where you usually get something unique, delicious and practical while meeting friends and exchanging the week's news. With a healthy market, people have a chance to belong, a chance to contribute, and a chance to count on the support of those around them. Show me a community's market, and I will show you the health of its people. Why then do we in Canada, mothball our markets during the long winter months? Granted, winter impacts agricultural pursuits, but that is not all you get at a vibrant market. These very important months is exactly the time when there is more opportunity for adding value to the season's harvest and inventing and making new products. I make the case that we need more markets (approved or not), and that these markets should be given the opportunity to operate year round in Canada. It is a community's prerogative to have its market, and you have the support of the Two Cowboys to help you make the case. We are so enthusiastic about markets that we are going to devote more time to this topic during the second half of this year when we travel to New Zealand to see how it is done in a country that thrives, thanks to its local micro producers, and its markets. The Canmore Mountain Market is a summer tradition for over twenty years. 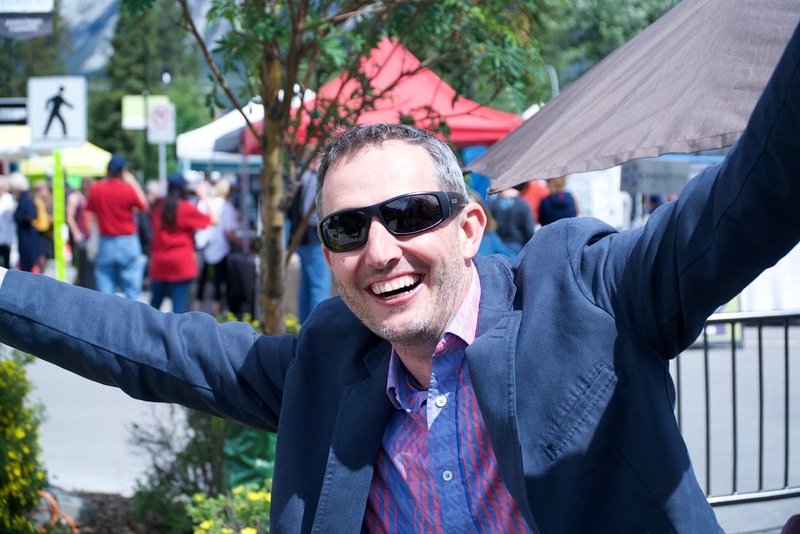 It is an opportunity for local businesses and budding entrepreneurs to step out of their buildings, into the downtown core, and meet fellow traders and customers in person. It is an all round fun day once a week, with friends and acquaintances. Rain or shine, this market showcases a variety of locally and regionally produced items including fresh fruits and vegetables (with seasonal Alberta and B.C. options when available) elk meat, fresh poultry, gelato, nougat, toffee, olive oil, crafts and baked goods. Buskers perform, and the food scene at the market is growing with gourmet choices in burgers, cheese melts, crepes, waffles, gelato and more. 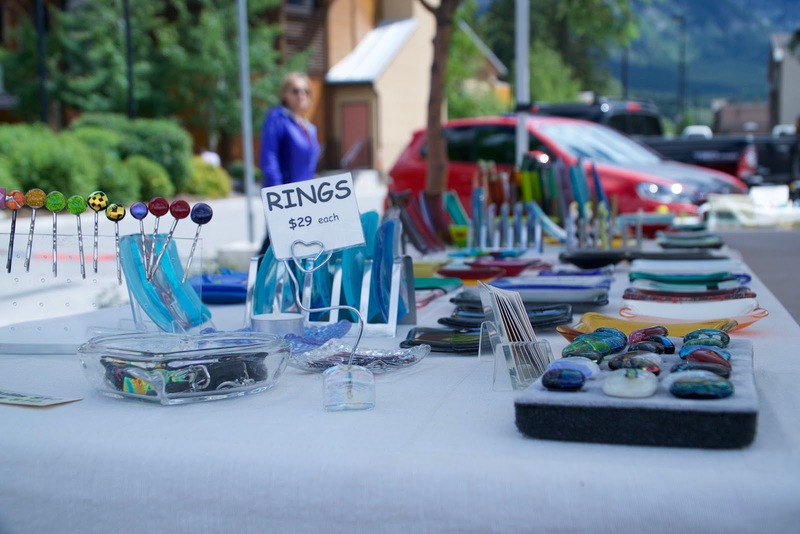 The Market is located next to the Canmore Civic Centre Plaza right in the heart of downtown on 7th Avenue and runs every Thursday from 10am-6pm May 26th to October 6th. 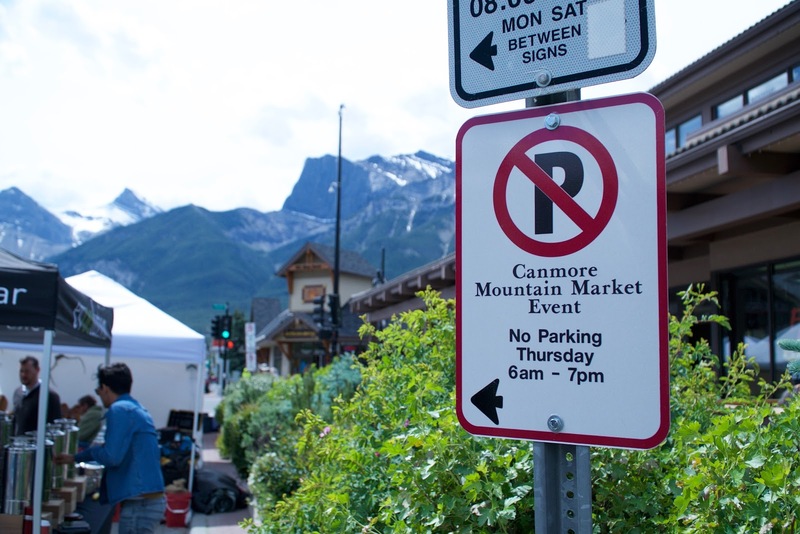 This may be a problem in future, because according to Canmore Business and Tourism the market is three times over subscribed. There just isn't enough space in the allotted downtown core to accommodate everyone. You need to know a local to get a spot. 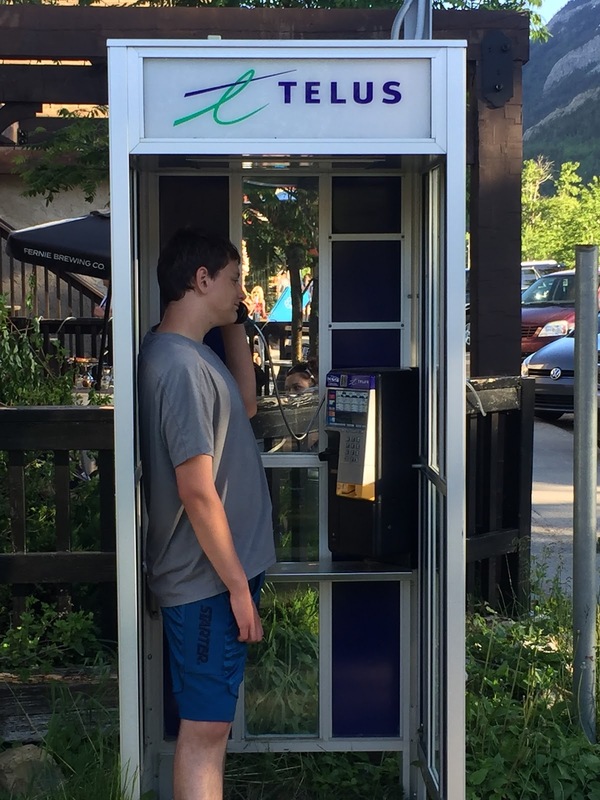 It may be time for Canmore to consider expanding the market, or find a new location where more businesses can be accommodated. We want more businesses in Canmore and more people to enjoy our great town, don't we? If Canmore misses this opportunity, another location is bound to accommodate the demand and Canmore may lose out. That is just how business works. It is inspiring to see so many people wanting to trade in Canmore and to see the quality of businesses that make it to this market. 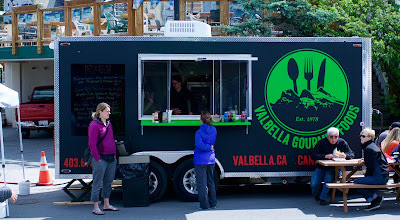 Who knows, the next step may well be an all season market for Canmore. It has my vote, for sure. Enjoy the promo. More news from the market to come soon. 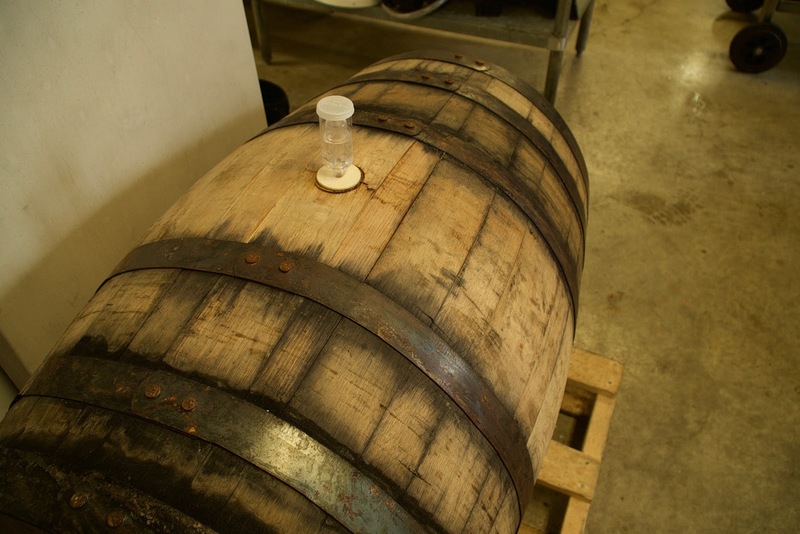 Don't forget to join our mailing list for special offers and experiences from our Producers. You can join here for special offers from Canmore's Mountain Market. 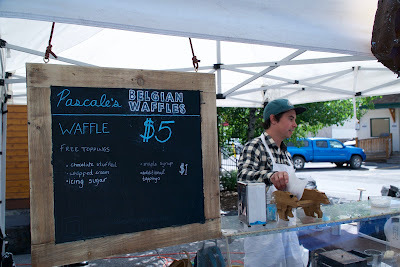 You can take the Waffle out of Belgium, but not Belgium out of the Waffle. 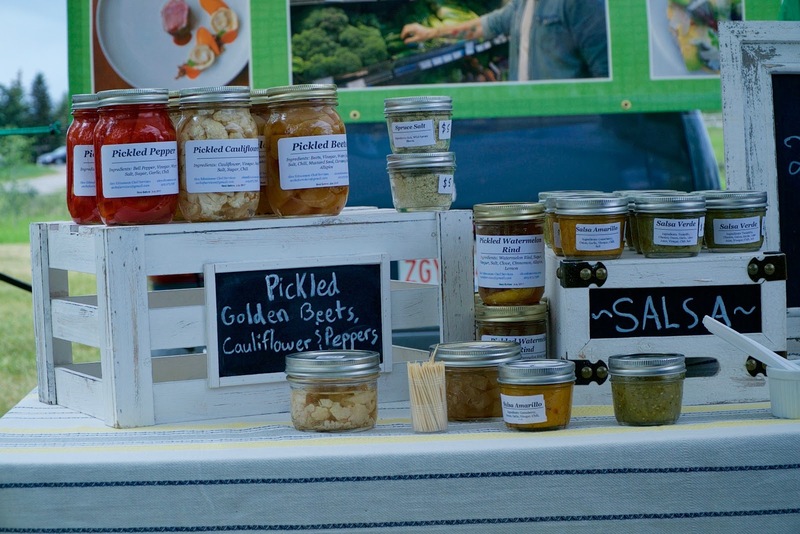 Farmers' and Outdoor Markets play a significant role in bringing communities together. Its role is even more prevalent when large Producers lend their support to a local market to interact with customers. It brings people together. Valbella’s commitment to excellence paired with its European tradition, and simple love for fine food has done it again. 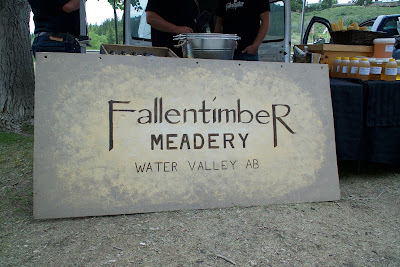 They've snagged one of the Bow Valley's finest Swiss chefs to deliver gourmet creations with a farmers' market twist. Valbella stands out as one of Western Canada’s most recognized meat processors. 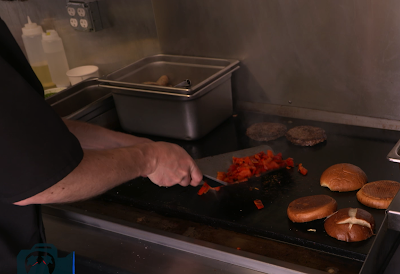 The founder, Walter’s constant product innovation and keen market sense keeps customers and top chefs awaiting new and tantalizing products, whether they be for a gourmet menu, or simply for a backyard BBQ party. 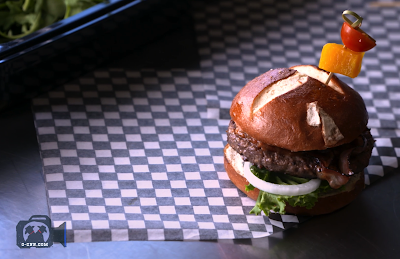 Where else can you zip in for a Beef Wellington, Turducken or double smoked bacon? Soon these will be available at the market too. Don't forget to join our mailing list for special offers and experiences from our Producers. You can join here for special offers from Valbella. Farmers and craft markets play an important role in the evolution and growth of micro businesses. Communities that recognize this value and create opportunities for these businesses to take their goods to market are flourishing. Fallentimber is one such business we profiled recently. We caught up with Nathan Ryan and his cousin at the Canmore Mountain Market and Cochrane Farmers market recently to find out how the market has worked for them. 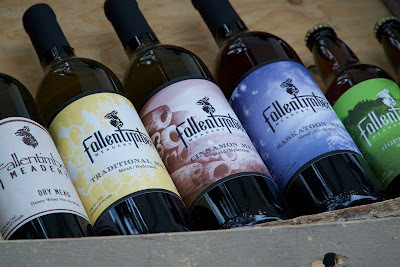 Enjoy this one, and don't forget to join our mailing list for special offers and experiences from Fallentimber and our other Producers. You can join here. Why do we spend so much of our time and money on things we will effectively never own? I am referring to accommodation and transport. The majority of our income goes into these two categories, and the taxes we pay (don't forget the taxes). The majority of our time goes into earning enough for servicing mortgage and other debt for our living and travel arrangements, while over time we have little to show for it. Most of us will never be in a position to own our house outright regardless of they payments we made. Is this the way things are supposed to be? What if there is a way that we can indeed completely and fully own your own house: A simpler house, with less stuff and less to complicate life? What will we then do with our time and our money? I think I've found a solution with Andre and his family at Knotty Pine Cabins. I was exploring possibilities, and while researching options, I discovered tiny houses and the tiny house movement. 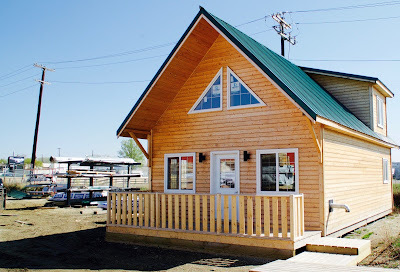 The tiny house movement (also known as the "small house movement) is a description of the architectural and social movement that advocates living simply in smaller homes. There is currently no set definition for what constitutes a tiny house. However, a residential structure under 500 square feet (46 m2) is generally accepted to be a tiny home. Smaller homes are less expensive than larger ones regarding taxes, building, heating, maintenance, and repair costs. In addition to costing less, small houses may encourage a less cluttered and simpler lifestyle, and also reduce the ecological impacts of its residents. Small houses may emphasise design over size, utilise dual purpose features, and multi-functional furniture while incorporate technological advances of space saving equipment and appliances. Small houses may be attractive as starter homes, second homes or retirement houses. Two out of five people are over 50 with a need to answer their accommodation woes. The same goes for students and young families that cannot afford accommodation. All over Canada, there is a housing affordability problem. Is this the solution? Will the increased utilisation of tiny houses lead to the development of more land and the acceptance within communities, that there is a different approach to our accommodation needs? We don't need the half million Dollar square box we became accustomed to, as a standard home. It's not how it used to be. 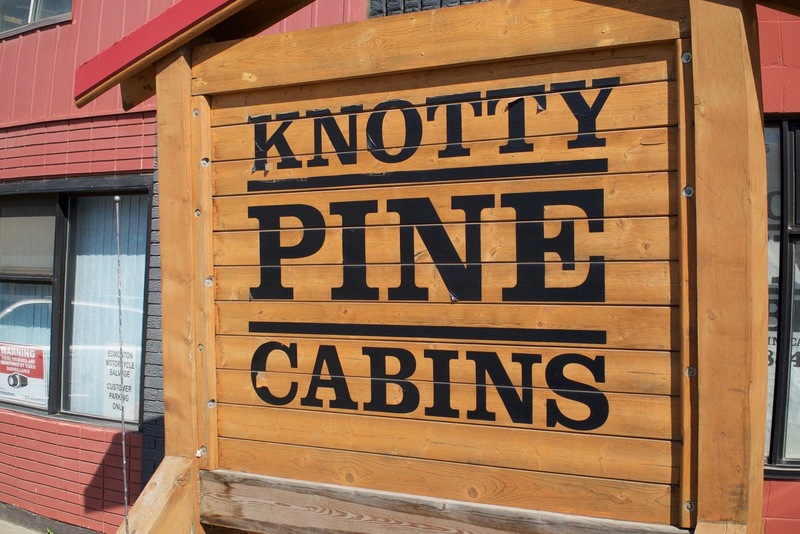 At Knotty Pine Cabins, they are focused on more than gorgeous cabins. 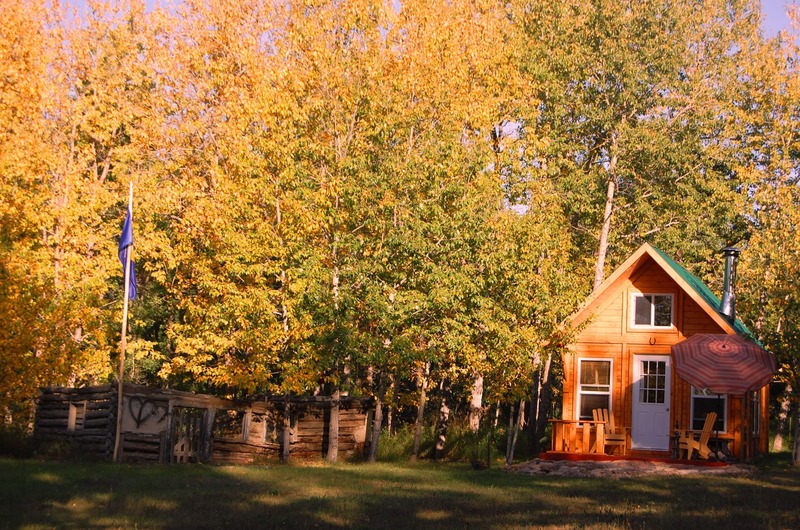 As a family owned and operated cabin building company, they've been building tiny (and big) in Alberta since 2007. 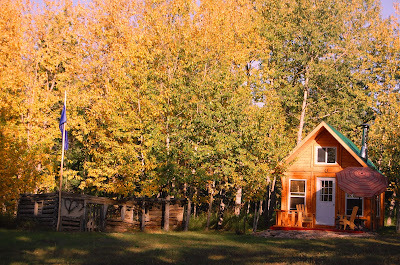 They deliver fabulous cabins all over Alberta, British Columbia, Saskatchewan, and beyond. Most recently, they've started to put their cabins on wheels as Tiny Houses. "It is just a natural progression for us," Andre said. "It makes sense that people are looking for good quality accommodations at less cost, with a simplified lifestyle." 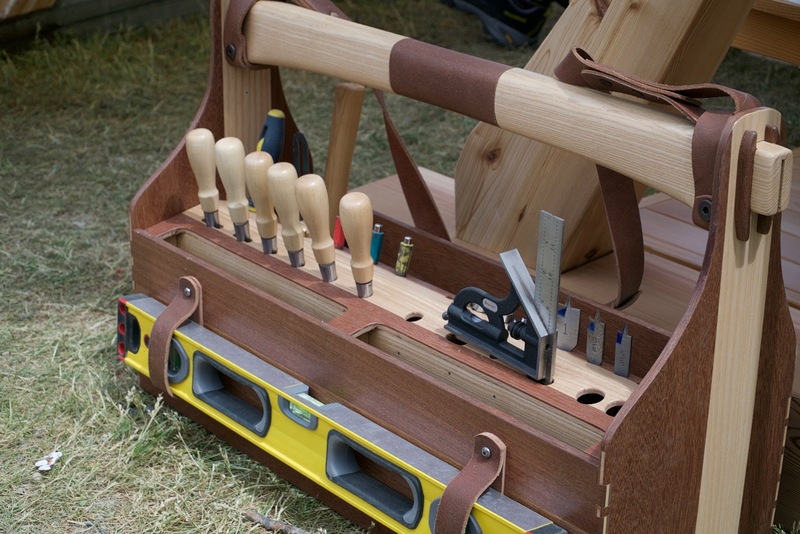 If you add to it that a Knotty Pine cabin can be self-assembled over a week, it sounds too good to be true. Andre mentioned that they have more than 400 happy customers each year. 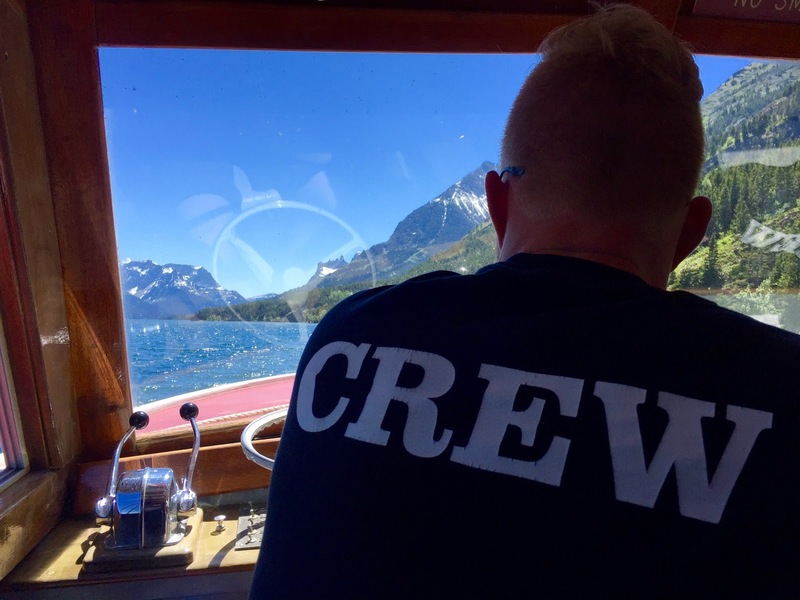 With that many cabins done over the last decade, Andre must be doing something right. There is an energy and a can-do attitude when you walk into Knotty Pine Cabins. They know their stuff. Nothing is too difficult, and everything is about helping their customers. There is a solution, and Andre knows how to make it happen. 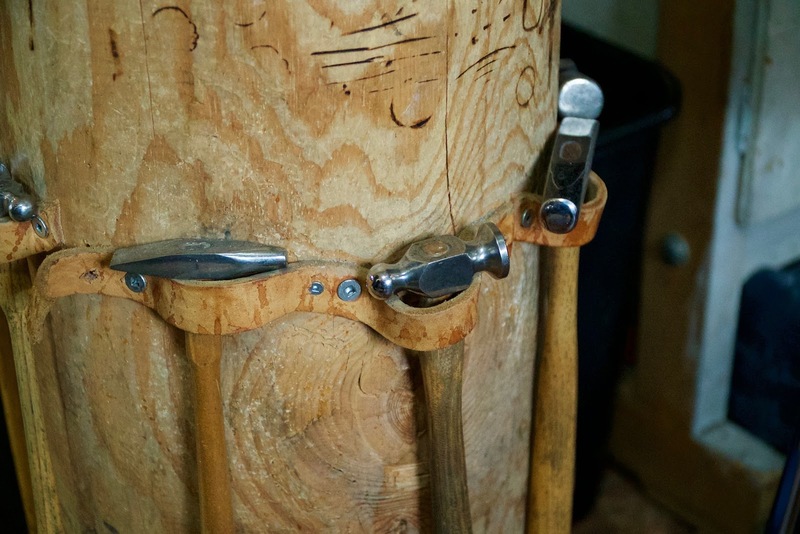 The quality of construction is outstanding, and you can see that Andre and his crew knows what works, and what can be done with simple and functional designs. What really stands out is the affordability of the structures. If this is set to the outstanding quality of the build, it is almost as if there is a catch. 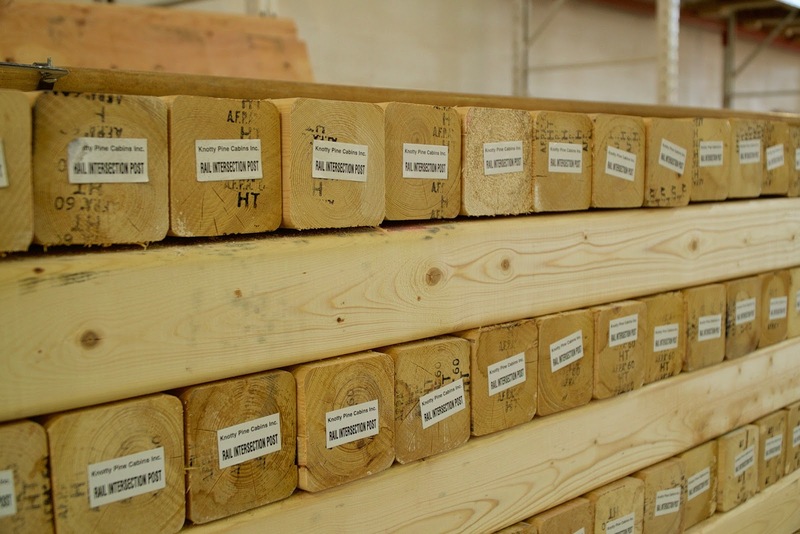 Knotty Pine Cabins should cost more. On the contrary, it leaves you wondering just how much are you over charged for conventional construction. Here is something outstanding in quality, and construction for a fee that won't break the bank, or leave you paying (and crying every month when you see your mortgage statement) for the remainder of your life. Over the last year, Andre became a friend. His energy and passion are contagious. 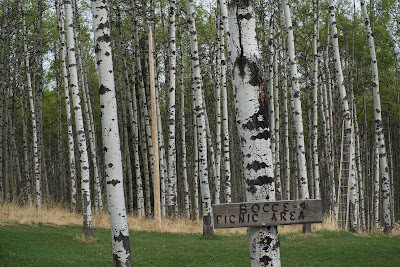 All that now remains is finding that ideal spot in the woods for my Knotty Pine Cabin or Tiny House. 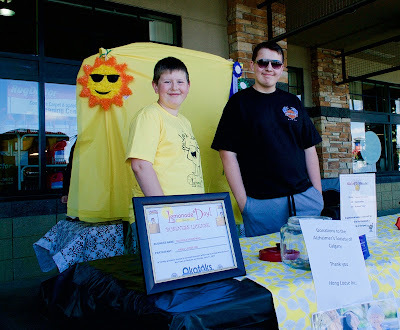 The Two Cowboys had the privilege of attending Okotoks' second annual Lemonade Day on Saturday 10 June, 2016. At the outset we were blown away by the enthusiasm of this growing community for encouraging entrepreneurship in their children. Why do they do it? Let's face it, Alberta Province is hurting financially and socially at the moment. The economic downturn is leaving deep financial and emotional scars in our communities. Folks are out of work, and many are without hope. The question that is on everybody's mind is: "Do we leave for a job elsewhere, or do we see it through, waiting for the good old days to come back?" The answer is simple. This time the prosperity of the oil industry in Alberta is unlikely, to return to previous levels soon, if ever. Maybe, now is the time that we take ownership of our destiny, and reinvent ourselves and our community once and for all. Maybe it is time to say goodbye to the concept of someone else having a "job" waiting for me, and hello to the concept of taking charge of my own destiny: of being a Producer, and an Entrepreneur. For too long, Alberta's been a "one trick" pony relying heavily on its energy assets and income from the oil industry. I am sure you are tired of hearing this tune, but it needs to be played loudly and clearly again. Many people locally and nationally became complacent with the good fortune of the availability of well paying jobs, and not enough people to do them. When you travelled the oilfields you found people from all professions and locations across Canada, stepping out of their chosen industries, and into easy oil money. This is no longer the case. Also, our Governments, Locally, Provincially and National followed suit by growing public services and bureaucratic overhead out of proportion on the easy energy revenue, taxes and royalties that could be milked from oil profits. People either worked for an oil company, a business servicing an oil company, or a public service made possible thanks to revenue from oil. Jobs are still around while these institutions are in denial, and banking on borrowed money. This cannot continue. Someone eventually will have to pay for it. There is a positive story in all of this. We, the Two Cowboys traverse the business and community landscape in this beautiful Province, and we see hope and realization flickering. You can see some of the inspiration in the Producer Profiles we produce and the community events we feature. If Alberta is to turn itself around and prosper again, it has to recognize that it is not going to be the oil industry, or the Government that is going to hand us jobs, grants, or subsidies. Rather it is time for the people of Alberta to recognize the value of its Producers, and exalt these people that will do it: The Entrepreneurs. The Business owners. They will reinvent Alberta. The rest just need to get out of the way. That is why we encourage and celebrate our Producers and Entrepreneurs. That is why we involve ourselves with communities and people that focus on making it possible for people to make something of value, earn from it, and share some of it. That is why it is good to encourage our children to choose entrepreneurship over employment. 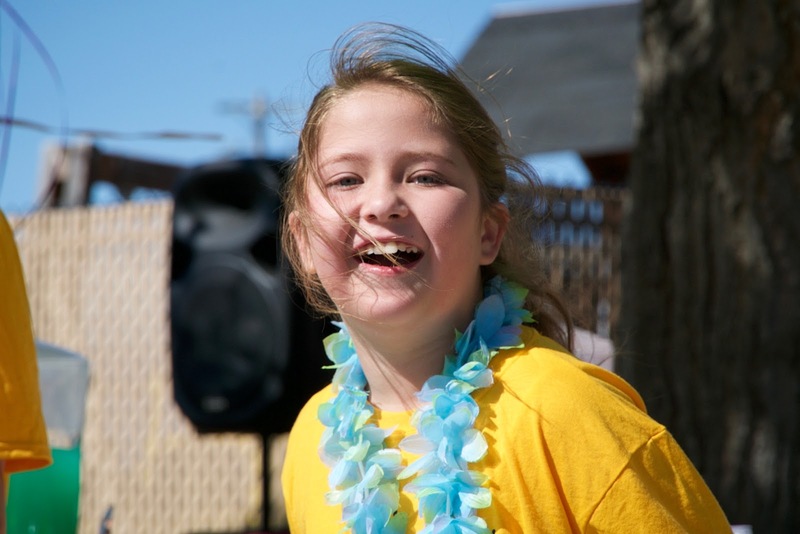 That is why we are ecstatic about Lemonade day in Okotoks, Black Diamond and Turner Valley. It's been long overdue! Lemonade day is an initiative that ensures that youngsters are set on a path early to value what it means to be in business. It celebrates the personal value, the financial value, and the community value that comes from entrepreneurship and production. The concept was first introduced in Houston, Texas in 2007 to provide children and young adults with a collection of entrepreneurial skills not taught anywhere in the education system. Since 2007, almost 750,000 kids have participated in cities across North America. This year it is expected that over 150,000 students in over 50 cities will be participating in this tremendous program. 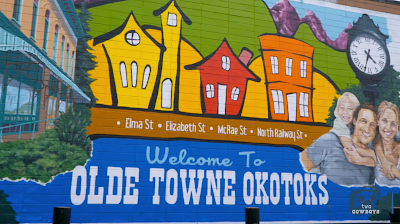 Okotoks' business community is right up there with the best of them, taking the lead in teaching young Albertan's the value of entrepreneurship. 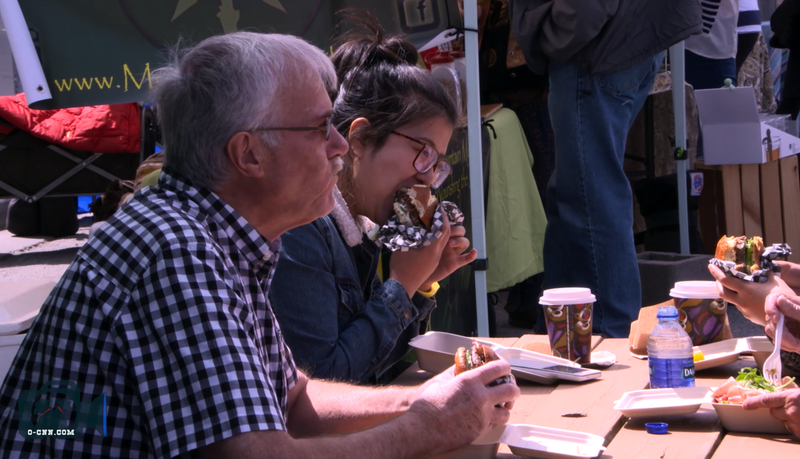 The program is in its second year in Okotoks and has exploded in popularity amongst the children, and also amongst the supporting businesses of the area. Successful societies were, and still are built on the back of small business. Entrepreneurs take risks believing they can realize their dreams if they work hard, take responsibility and act as good stewards of their resources. Everyone benefits as a result. Today’s youth share that optimism, but lack the life skills, mentorship and real-world experience necessary to be successful. 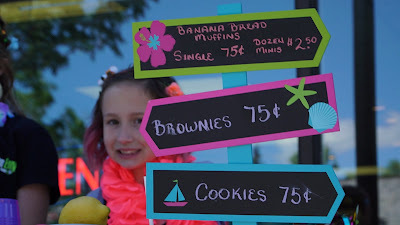 In 2007, founder Michael Holthouse had a vision to empower today’s youth to become tomorrow’s entrepreneurs through helping them start, own and operate their very own business: A simple lemonade stand. Through this journey, children are encouraged and coached in preparation for the important role they will one day play in the success of their community. By attending Lemonade Day in Okotoks we found people celebrating the opportunity of business, learning the values and skills that comes from being in business, and ultimately the hope that comes from taking charge of ones own destiny. The community is better off as a result. Everyone is. The people of Alberta is taking charge of its own destiny in the realization that we ourselves are responsible for our prosperity. Our future Producers will make it possible. We need to make more lemonade. Let's be honest. You don't really need an excuse to make it to Waterton Lakes National Park in the South Western corner of Alberta, Canada. The scenery there is so breathtaking, the air so fresh, and the water so spectacular that you have to make at least one pilgrimage in a lifetime to this place. It is a "bucket-list" visit. The Two Cowboys had an excuse. We came for the breathtaking scenery. But, it was the food and the people that made us want to stay. In 1858 Lt. Thomas Blakiston, originally a member of the Palliser Expedition, embarked on an expedition of his own looking for a railway pass through the mountains. On his journey, he encountered members of the Kutenai tribe who told him of the South Kootenay Pass. 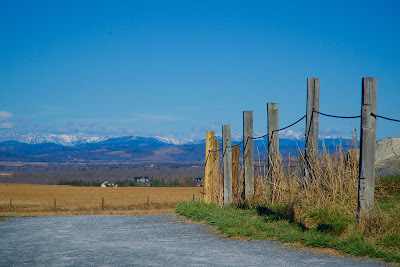 Taking their advice, Blakiston re-crossed the divide, traveling along what would later be called Blakiston (Pass) Creek and out to a chain of three large lakes. On September 6, 1858, he wrote: "After two hours traveling on level ground along Red-stone creek (Red-Rock) we emerged on the Saskatchewan plains, just six geographical miles north of the 49th parallel and camped at the lakes... 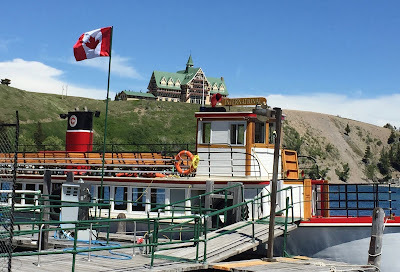 The scenery here is grand and picturesque...."
Blakiston named the lakes "Waterton", after British naturalist Charles Waterton, although the locals continued to call them Kootenay Lakes for many years after. The Waterton Park Chamber of Commerce hosted the second annual Food Festival for the town. The Cowboy News Network managed to get an invite. It all happened on the last weekend of May and the first of June, 2016. 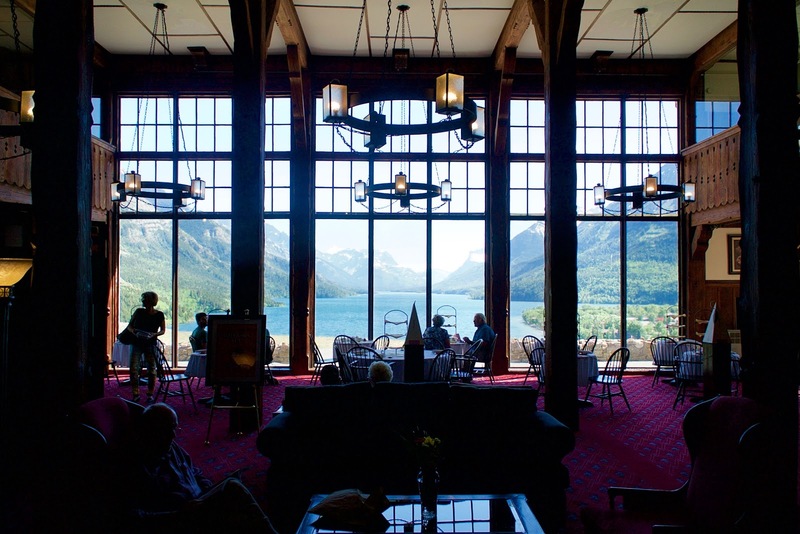 For a town with less than one hundred permanent residents, we found Waterton surprisingly busy for late Spring. Locals tell us it is because they've had less snow this year. The warm weather drives people to make the trip. Wait until July to September, and you will have to share it with 600,000 other motivated visitors. 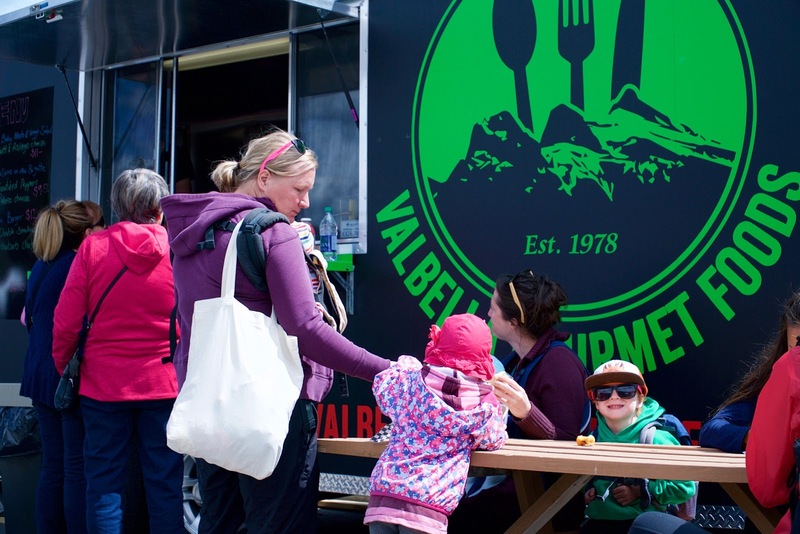 The business owners, many who don't overwinter in Waterton, usually open their doors beginning May to prepare fresh coffee, wieners, pie, ice cream and great Alberta fried chicken. This year it was no exception, and the Food Festival added incentive to get the cobwebs out, and the systems working early for when the really big crowds arrive. It all shuts down in October again. 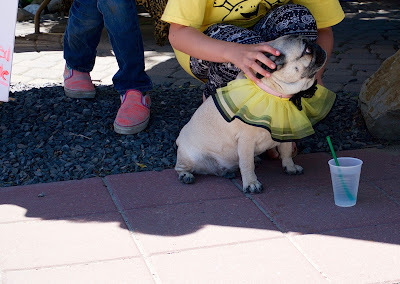 The town was already bustling with tourist from all over North America and Europe when we arrived. A fair amount of people from Lethbridge, the nearest "big town", made it out for the festival too. "Local knowledge" dictates that you have to get your Waterton fill in June, else risk being stampeded and trampled during summer. What more do you want in a holiday place that nature, friends and food? 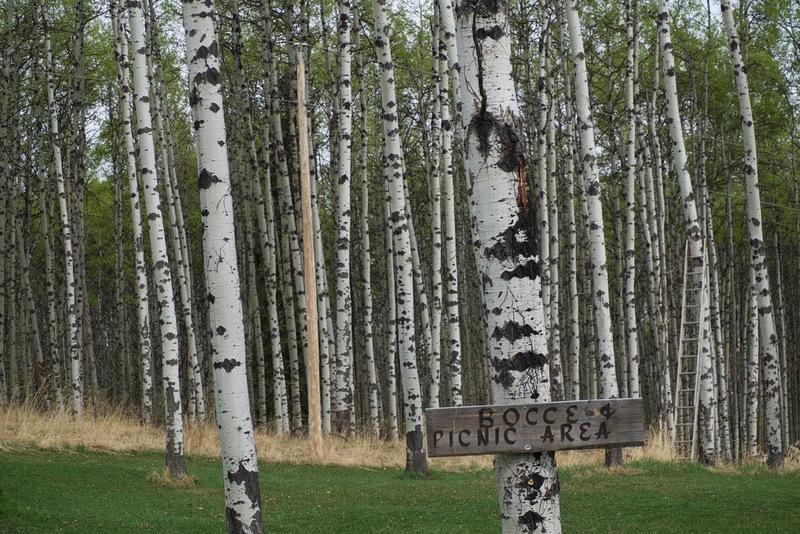 Waterton has plenty of it all. For our trip, the food was definitely outstanding. 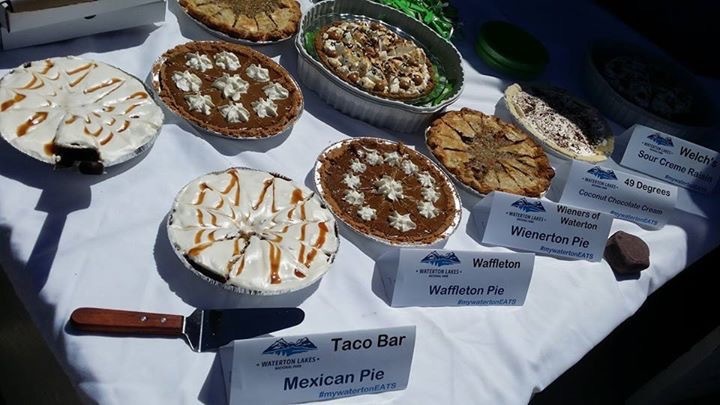 The Pie Cruise stood out as the highlight. You get to sample creative baking from local establishments, while cruising on the lake towards Montana. Even the eateries that don't serve pie baked for this trip. In Canmore we are spoiled for choice when it comes to coffee. 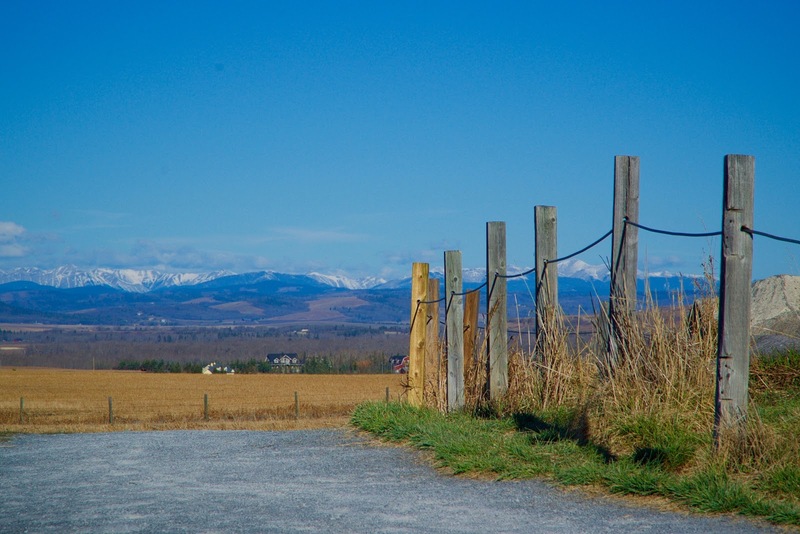 The Two Cowboys checked in recently with two local roasters that produce their coffee for the Bow Valley coffee shops, and consumers in the surrounds of the Foothills of Alberta. We have good coffee in Canmore. Rave Coffee is the newest addition to Canmore, and brings knowledge, experience and a solid track record from operations in the U.K.
Mountain Blends Coffee Roasters is the longest established in the Bow Valley, and now under the careful management of owner: Jennifer Web. They existed in Canmore, long before the Bow Valley knew the difference between Cappuccino or Latte. How can there be two roasters in a small town like Canmore? 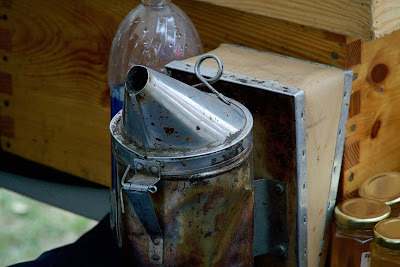 Firstly, as you saw in our previous instalment, Canmore likes its coffee. We have a discerning clientele that visits from all over the world, and we need to ensure they get the best we can offer. Secondly, because competition is a good thing. 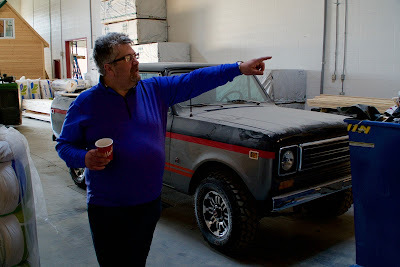 Canmore can have even more coffee roasters so that they compete to be better. If there is competition, then there is innovation and progress. It is a simple principle of business, and of life. We applaud our producers for that. As consumers we are better off with better coffee. 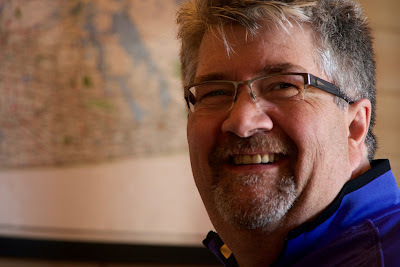 Enjoy our introductions to our proud small business producers in the coffee business in Canmore, Alberta. It is a form of business network, for example, a local organization of businesses whose goal is to further the interests of businesses. Business owners in towns and cities form these local societies to advocate on behalf of the business community. Local businesses are members, and they elect a board of directors or executive council to set policy for the Chamber. The board or council then hires a President, CEO or Executive Director, plus staffing appropriate to size, to run the organization. The world's oldest English-speaking Chamber of Commerce, in New York City, dates from 1768. The oldest known existing Chamber in the English-speaking world with continuous records, the Glasgow Chamber of Commerce, was founded in 1783. As a non-governmental institution, a Chamber of Commerce has no direct role in the writing and passage of laws and regulations that affect businesses. It may however, lobby in an attempt to get laws passed that are favourable to businesses. They also work closely with a number of other youth organizations in the country about the value and role of business in our society today. 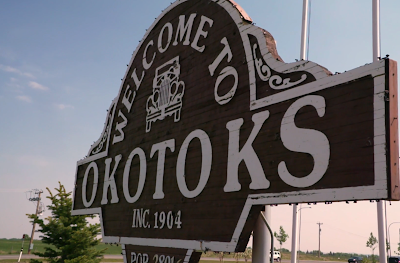 The Okotoks & District Chamber of Commerce mission is to actively promote, facilitate and strengthen the business climate by providing: Leadership, representation, networking opportunities, service and education to their Chamber members. 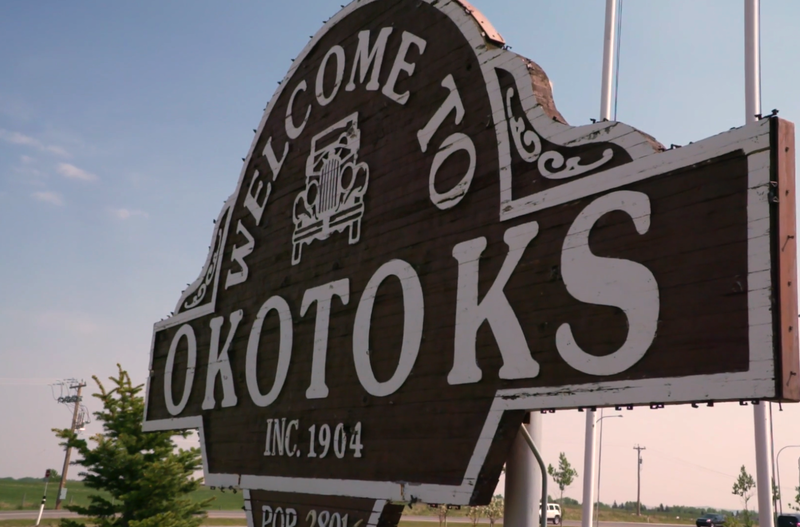 Their vision is to be a committed, visibly supportive organization contributing to the ongoing health of the Okotoks and District business community. Chamber members are invited to engage in valuable networking events to exchange ideas, make new business contacts, solve problems, lend support and plan for the future growth and direction of the business community. The Chamber offers industry and business insight and information at our monthly member luncheons, participate in community initiatives such as Parade Day, Community Clean-up and municipal events. They provide members with a monthly newsletter of Chamber events, and activities. They host and present The Okotoks Trade & Lifestyle show, Business Excellence Awards and other events throughout the year to connect people to their local business community. Where will our society be without people that produce, add value and exchange this value freely through trade? This should not be a rhetorical question, it should rather be a statement that exclaims the significant role Producers play in making our civilized society possible. If you have any doubt, there are many examples of countries where business departed, were confiscated, curtailed, depressed, annexed, overtaken and real Producers stopped producing. All of those societies imploded, and some countries that disregarded this, are now facing these dire consequences. It still happens every day. Ask any business owner (not just the Producers) how hard it is to start, operate, progress and grow business in today's supposed Developed and Free Market world. 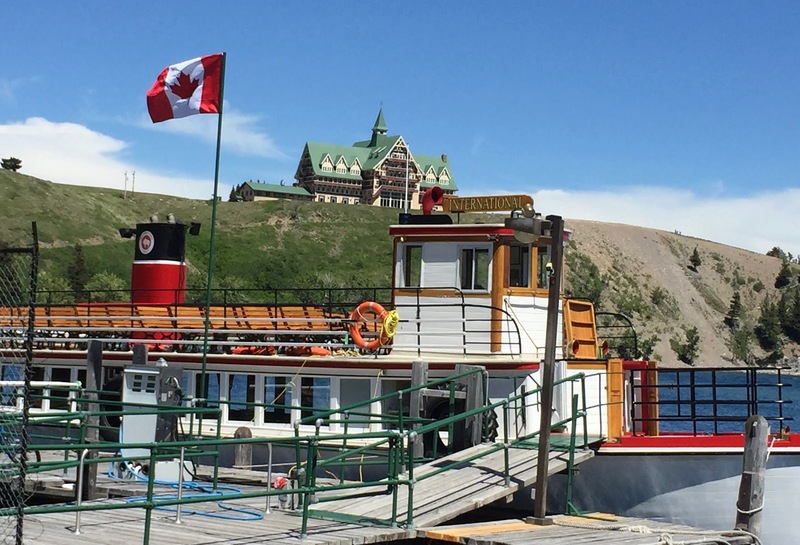 Ask the small businesses in the little towns in Canada how easy or difficult it is, and you may be surprised by their answers. We now live in a society where most people is quite content with abdicating control and responsibility for their daily lives, health and welfare to a federal, provincial or local government. Public spending and services are growing at an alarming rate, and secure employment (or hangers-on businesses) in these services are fast becoming the norm for all student-debt-laden, mortgage-loaded, credit-card-carrying graduates. Starting a business that does not benefit from government handouts, or working for such a private employer is risky business, and less attractive than ever before. Most businesses (that are not government endorsed, sponsored, initiated, granted, protected or controlled) are at odds with this transition and monopolization of value creation. It should not be government's job to look after people. Instead people should be free to create, produce and exchange value without the interference of an authority. People should look after people and be rewarded to do so by allowing them to be recognized for their contribution. It is becoming more and more obvious from the amount of taxes, regulation, tariffs, licenses and other stumbling blocks that are placed in the path of entrepreneurial producers, that production and the free exchange of value is not a priority in the majority of our society anymore. We are all poorer for it financially, and also mentally. There is inspiration in making something that you value. There is even more inspiration when, what you make is of value to others. Now, all we need to do is restore the opportunity for people to make something, start businesses and freely exchange this value without having to get the permission of a government. The fact is, that these businesses need all the help they can get. This is where a Chamber of Commerce comes in. I received a phone call early in 2015 from a fella that introduced himself as James Galts-Goldsmith. 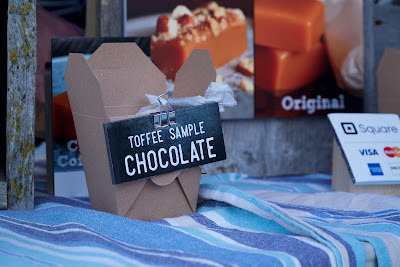 He wanted a box of my Honey Nougat for his customers to hand out as gifts. He discovered it in a store on his way to the mountains and wanted to order more. I was in the middle of wrestling my way through Ayn Rand's 1,000 + page book - Atlas Shrugged - shortly after I contributed to the third movie instalment: "Who is John Galt", on Kickstarter. It was eerily surprising to hear from a guy with a similar and uncommon name during this exact time. Here is someone that is the Goldsmith to John Galt? It was a funny confluence of events, if someone was not playing a very clever practical joke on me. The week after I delivered the Nougat, and that is how I met James Galts-Goldsmith. No joke. 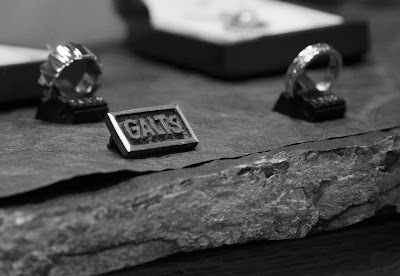 Galts-Goldsmith is a Jewellery Design Studio and Art Gallery located in the heart of Calgary. A heritage house built in 1912 provides the backdrop for a unique display of handcrafted jewellery along with traditional and contemporary works of art. 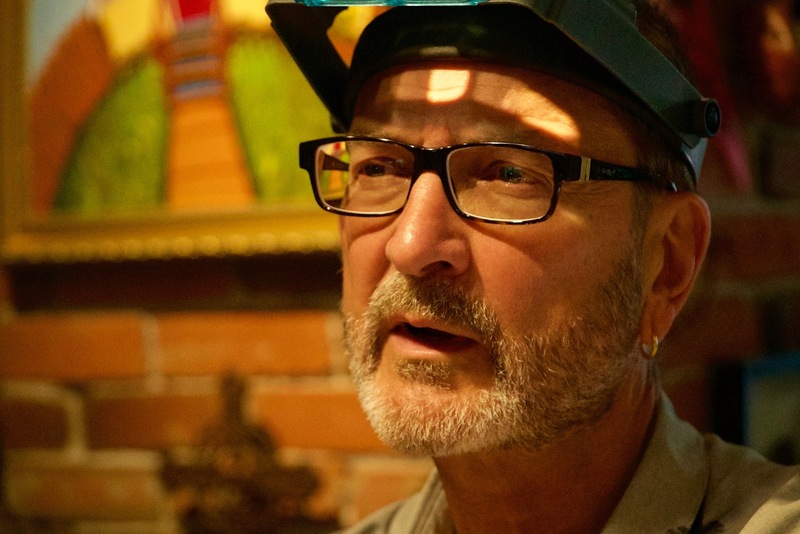 Established in early 1978, James has been serving Calgarians and clientele from around the world for over 3 decades with his custom jewellery, painting and sculpting. 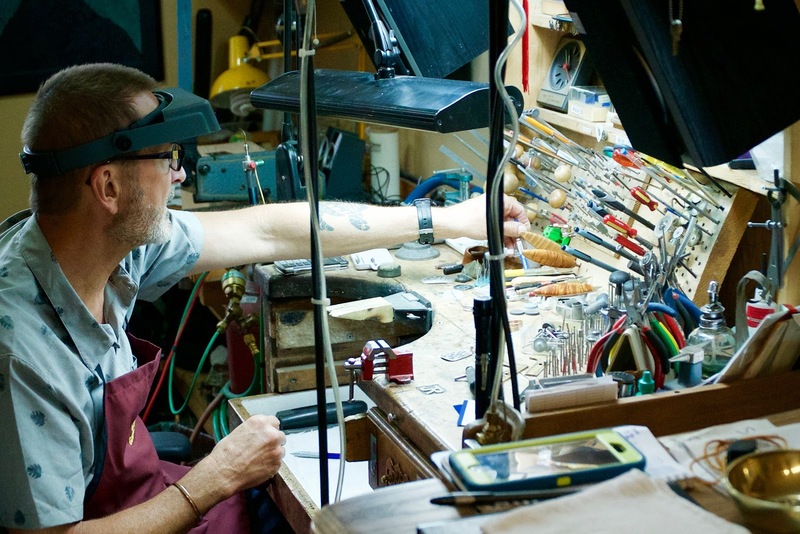 He crafts every piece completely by hand with a matchless attention to detail and unique and inspiring designs. 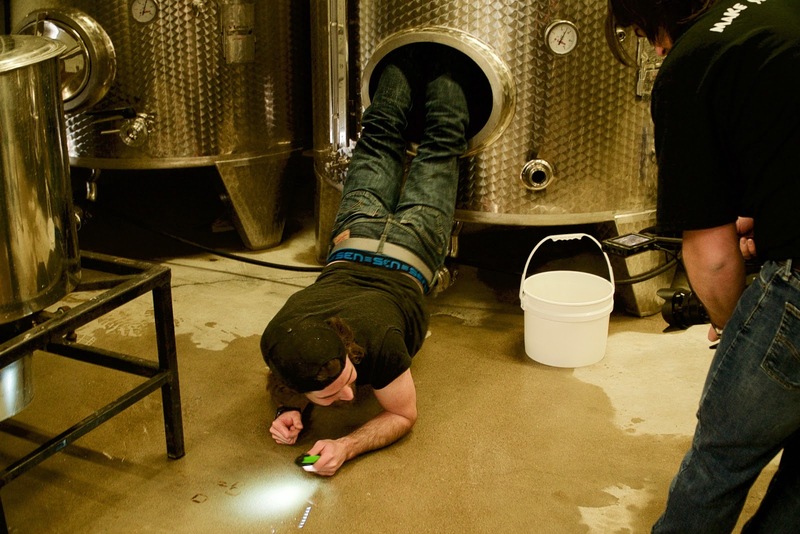 If you ever have to find a born maker, then James is your man. Not many people live by a mantra or statement that defines them. James does. 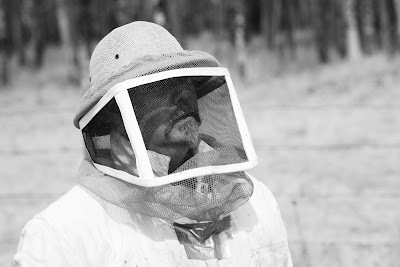 Here it is: "Life itself gives me the inspiration to create my art and nature provides me with the raw materials. Whether jewellery, paintings, or sculpture…..my passion is to capture the beauty around us in pieces that will last for generations. 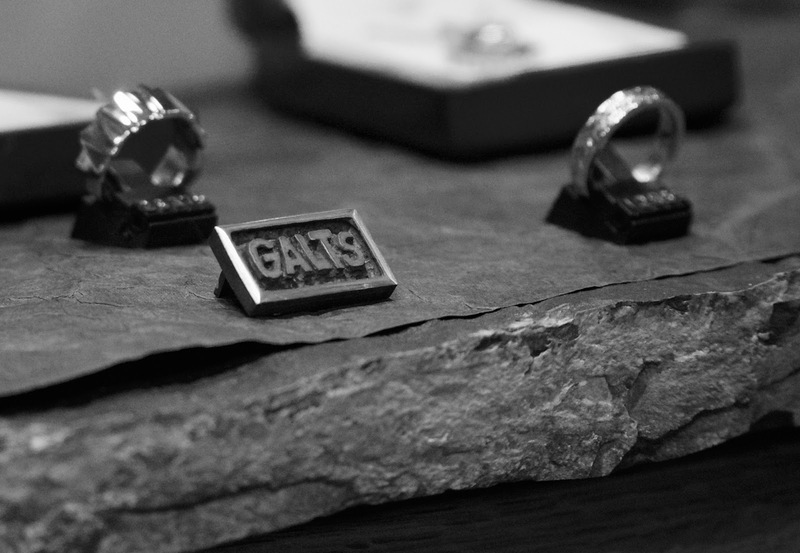 I am an Artist, a Goldsmith, a Hand Engraver and a Sculptor. " It is difficult for artists to make a living financially. Many will tell you that they cannot do anything but be an artist, and suffer for it financially. The personal emotional reward is phenomenal. Unfortunately, they often have to supplement the joy of creating, with income from another less inspirational source. A "day" job. It is therefore very encouraging to listen to a seasoned artist like James when he shares his lifetime story on how he discovered making, and how he tapped into the personal and financial rewards that came from sharing his production. After three decades, James has done a lot of things in the making department. 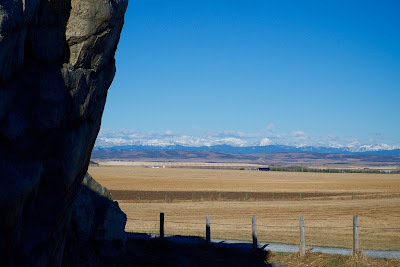 You can see his rock carvings in downtown Calgary. 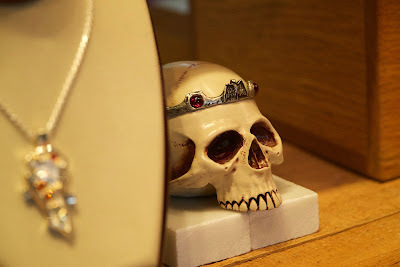 His paintings and jewellery travels the world. However, it is the things he doesn't sell that caught our attention. The music instruments he made and still loves to play. The customized tools. His workbench. There is so much of a maker in the room that it is encouraging to just be around James' workplace. He draws his inspiration from nature. 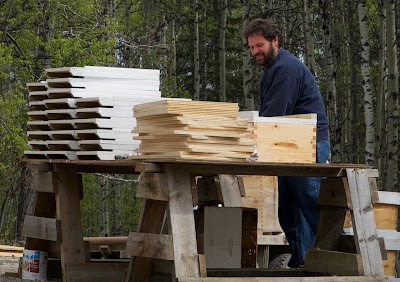 If he is not at his desk or in his workshop creating, you find him hiking in the Rocky Mountains of Alberta. James affirmed a common theme we discovered with every artist we've profiled thus far: When they make something from inspiration it has immediate value. "It sells" is what they will tell you. If you try to make something for someone else, it doesn't have the same success. Trying to anticipate what people want doesn't work so well. Somehow, the true part of the artist has gone missing. True art cannot be separated from its creator. It is what they are. James' jewellery artwork is beautiful and we enjoyed the morning with him, in his workplace very much. Now, please enjoy the video with us.